We are delighted to announce the Lyonesse roleplaying game. 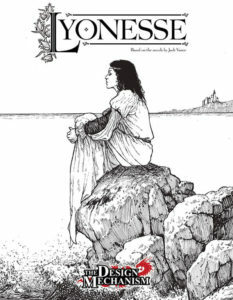 Jack Vance’s high fantasy masterpiece, Lyonesse, is to be brought to life in a new roleplaying game by The Design Mechanism. Licensed and approved by Spatterlight Press, Lyonesse is a standalone game based on the acclaimed Mythras system. The Lyonesse trilogy – Suldrun’s Garden, The Green Pearl, and Madouc – tells the story of the Elder Isles, and the ambitions of King Casmir of Lyonesse to bring its fractious kingdoms under his sole rule. Casmir is opposed by Aillas of Troicinet, the lover of Casmir’s daughter, Suldrun, and father of Dhrun, a child raised among the fairies of Thripsey Shee and destined to sit on the throne Evandig, which King Casmir believes to be his own destiny. 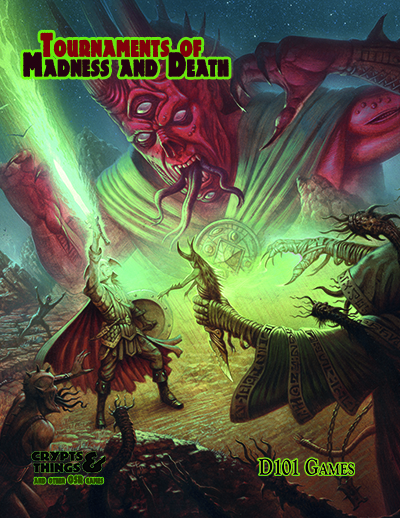 You can read the full press release here [http://thedesignmechanism.com/resources/Press_Releases/Lyonesse RPG Press Release.pdf].